HIBISCUS SAISONThis is What Joy Tastes Like…A Multi Award Winning Cider. Get ready to talk and laugh and be human for a change. Let this artfully brewed, effervescent hard apple cider with witty hints of Hibiscus be your starting point. Brings out the uncommon best in any food. Brings out the magic in any gathering. 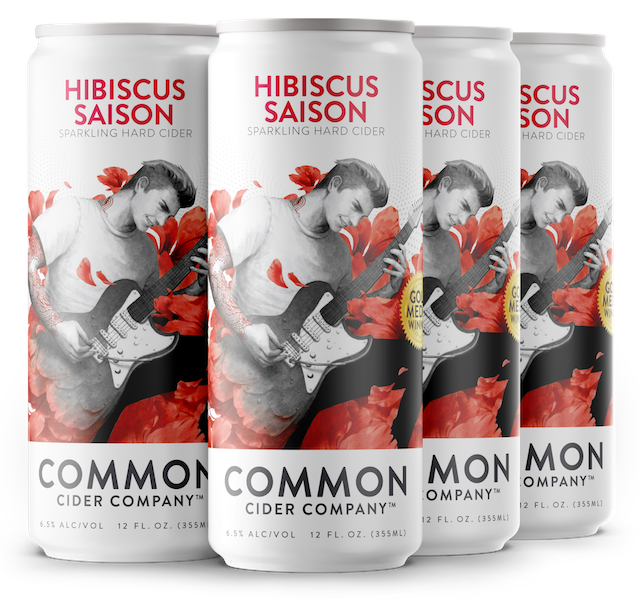 COMMON CIDER WON BIG at the California State Fair in 2014, capturing not only a gold medal for our blood orange- tangerine apple cider, but also winning bronze for hibiscus saison in the same category. so, IF YOU ARE COUNTING, That’s two of the three awards in the cider category. We think that not only says how amazing our ciders are, but also speaks highly of the California State Fair judging booth. Fun Fact: The hibiscus flower is traditionally worn by Tahitian women. If the flower is worn behind the left ear, the woman is married or in a relationship. If the flower is worn on the right, she is single. No word on what it means if you pin one to a jacket lapel.